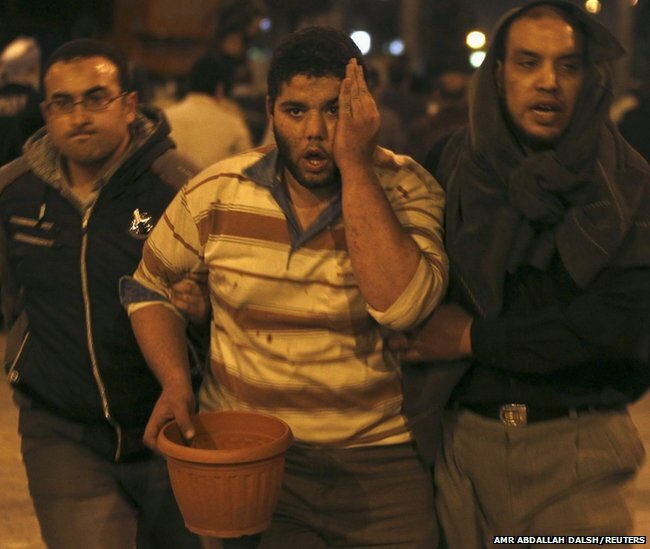 The Egyptian army has deployed tanks and armoured troop carriers outside the presidential palace in Cairo, after clashes between supporters and opponents of President Mohammed Morsi left five dead and hundreds injured. Florence Welch of Florence and the Machine performs at the O2 Arena in London. 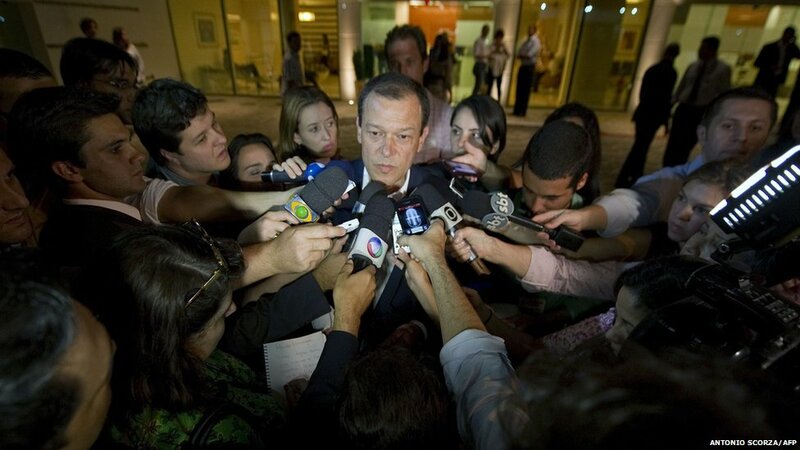 Brazilian neurosurgeon Paulo Niemeyer speaks to the media following the death of his uncle, Brazilian architect Oscar Niemeyer, just before his 105th birthday. Niemeyer designed some of the 20th Century's most famous modernist buildings but rose to international fame as the architect of the main government buildings in the futuristic Brazilian capital, Brasilia, inaugurated in 1960. 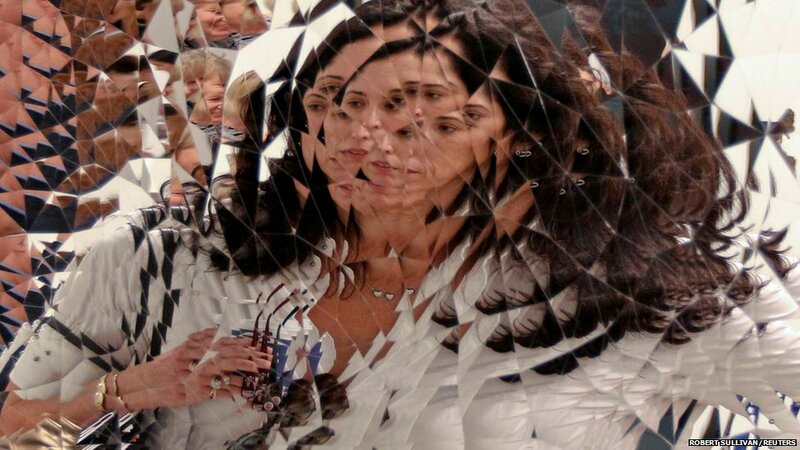 A woman is reflected in an untitled piece by artist Anish Kapoor at the Art Basel fair in Miami Beach, Florida. Cecilia Guadalupe Hernandez (right) who was parted from her family during the civil war in El Salvador during the 1980s is reunited with her mother Ana Gloria after 31 years. They had lost all contact until the Asociacion Pro Busqueda, an association of families whose children disappeared during the civil war, found Cecilia Guadalupe six months ago. 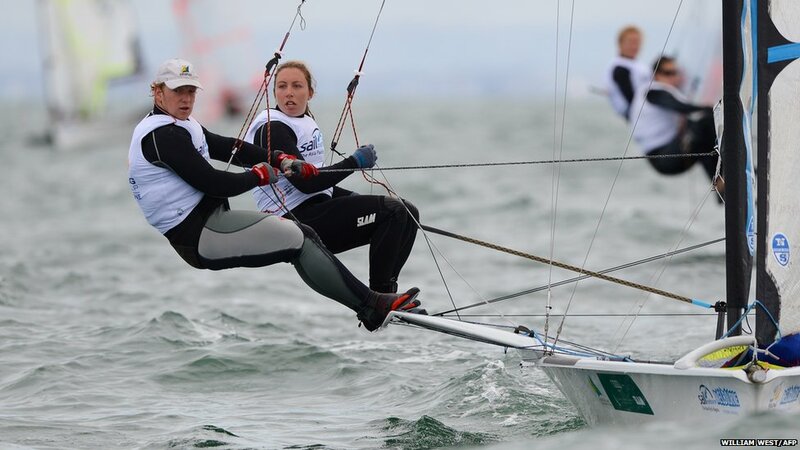 Olivia Price and James Sly of Australia compete in the 49er FX class at the Isaf Sailing World Cup event in Melbourne. 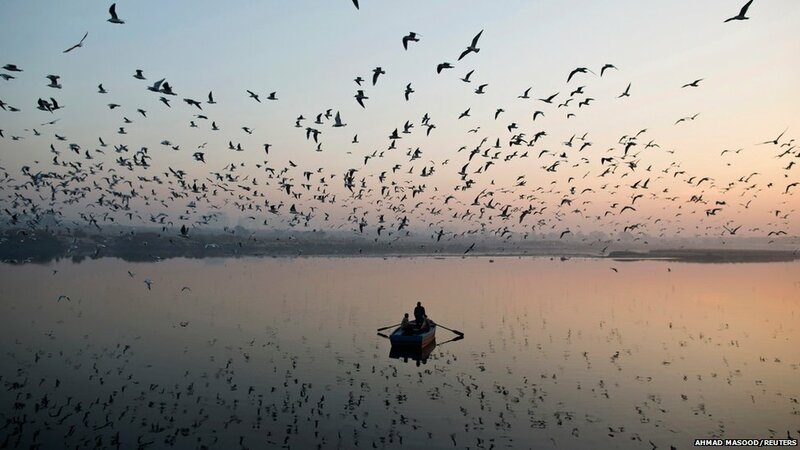 Migratory birds fly above men rowing a boat on the Yamuna river in the old quarters of Delhi. Chelsea's Fernando Torres (right) challenges FC Nordsjaelland's Michael Parkhurst during their Champions League Group E match at Stamford Bridge. Despite winning 6-1, Chelsea became the first Champions League holders to fail to advance beyond the group stage. A newly married couple pose outside a Gucci store in Hanoi, Vietnam. The Duchess of Cambridge leaves the King Edward VII hospital in central London with her husband, Prince William, after treatment for severe pregnancy sickness. St James's Palace said in a statement that she was now heading to Kensington Palace for a period of rest.